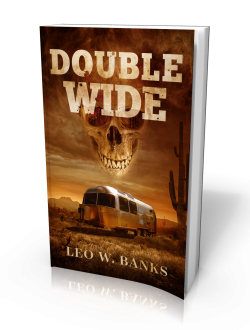 Author Leo W. Bank’s debut crime novel Double Wide has scored a rare double-header from the Western Writers of America by winning two 2018 Spur Awards, the “Oscar” of western fiction. The WWA announced today that Double Wide has won the coveted Spur Award for Best First Novel and for Best Contemporary Western Novel, an incredible accomplishment for a debut novel. The Spur Awards have honored the best in Western fiction, nonfiction, poetry, song, and film scripting since 1953​. This year’s awards ceremony will be held in June at WWA’s annual conference in Billings, Montana. Double Wide, which was published by Brash in November 2017, was also selected by True West Magazine as The Best Western Crime Novel of 2017 and has won wide, critical acclaim. Double Wide tells the story of disgraced former baseball phenom Prospero Stark, who turns detective when someone leaves his former catcher’s severed hand on the doorstep of his Airstream trailer in a remote corner of the Arizona desert. The paperback is available everywhere but the ebook is exclusive to Amazon. We’re thrilled for Leo and proud to be the publishers of this fantastic novel! The fourth novel featuring Wyatt Storme, the ex-football player turned troubleshooter that critics are hailing as the long-awaited heir to Travis McGee and Spenser. 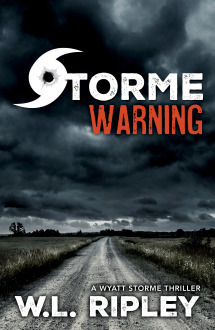 This time, Storme is hired to protect a bad-boy movie star getting well-deserved death threats.